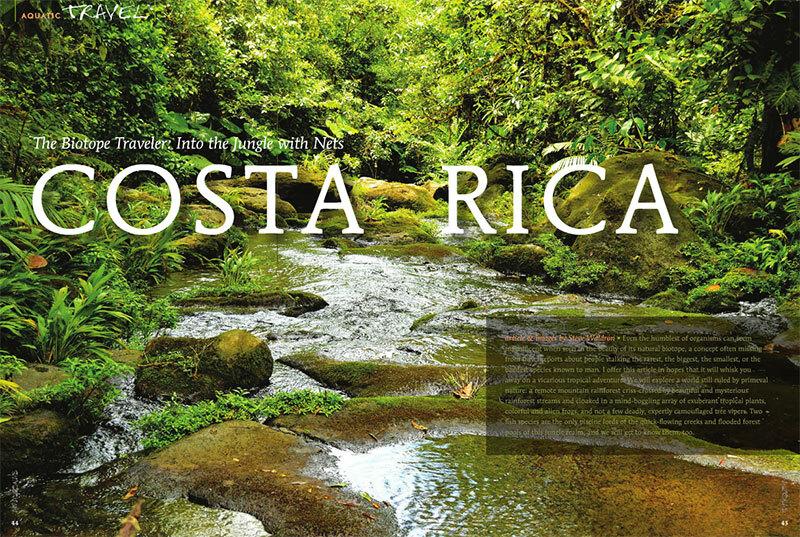 It’s in the mail: cover of AMAZONAS Magazine, Volume 5, Number 5. 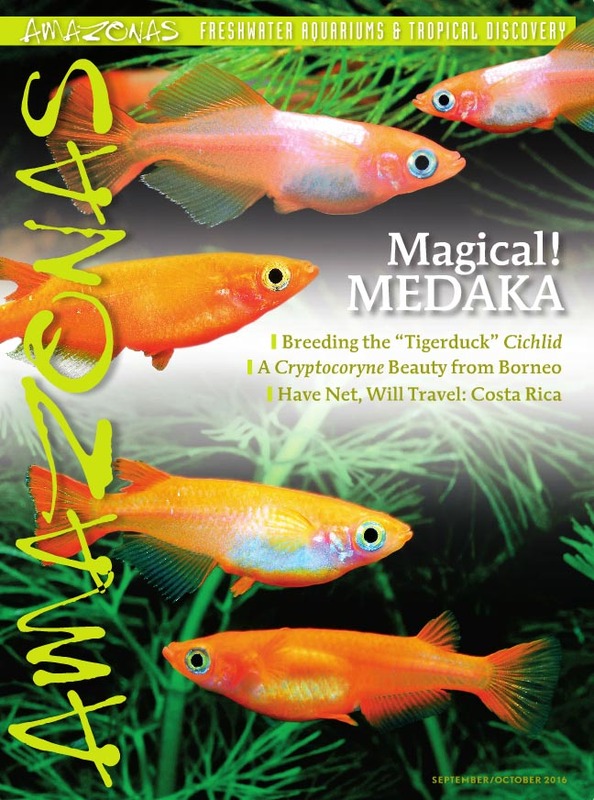 On the cover: prized orange cultivated forms of Japanese Ricefish, Oryzias latipes. Images by Fumitoshi Mori. 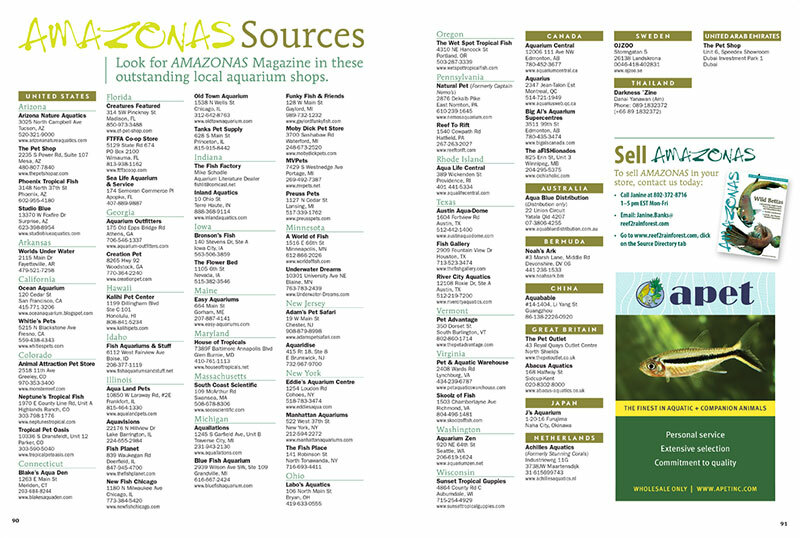 The September/October 2016 Issue of AMAZONAS Magazine is printed and now on its way to print magazine subscribers, local aquarium shops, and better bookstores. On sale August 2, 2016. 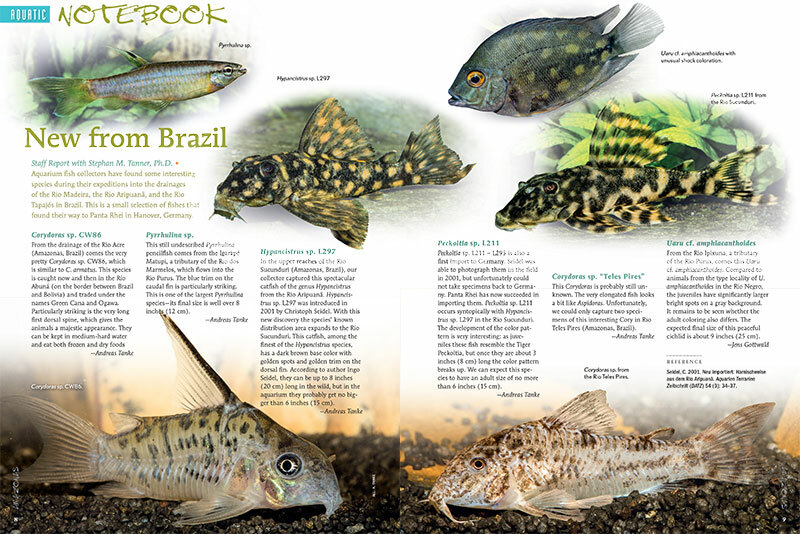 Aquatic Notebook starts off with Stephan M. Tanner’s look at new fish imports from Brazil. 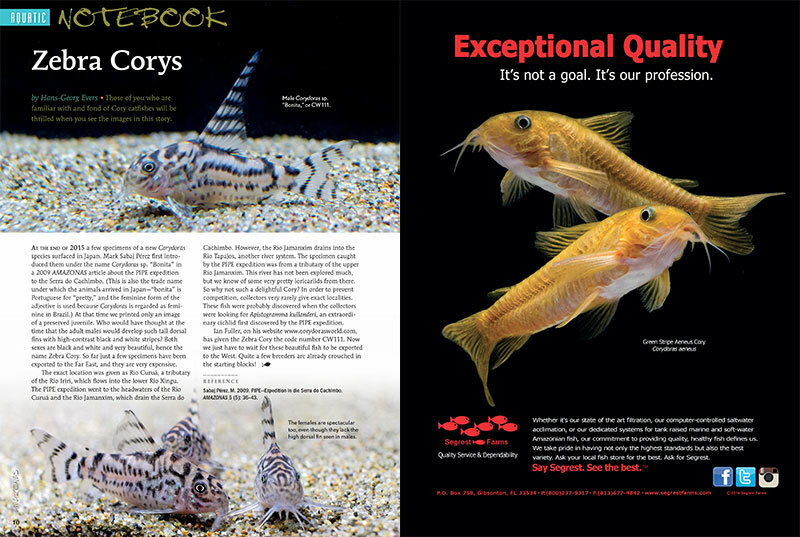 Also included in this issue are Zebra Corys, Blue-Headed Corys, a look at a large Malawi Cichlid aquarium at a Hamburg school, and a new Neon Goby from the Philippines. 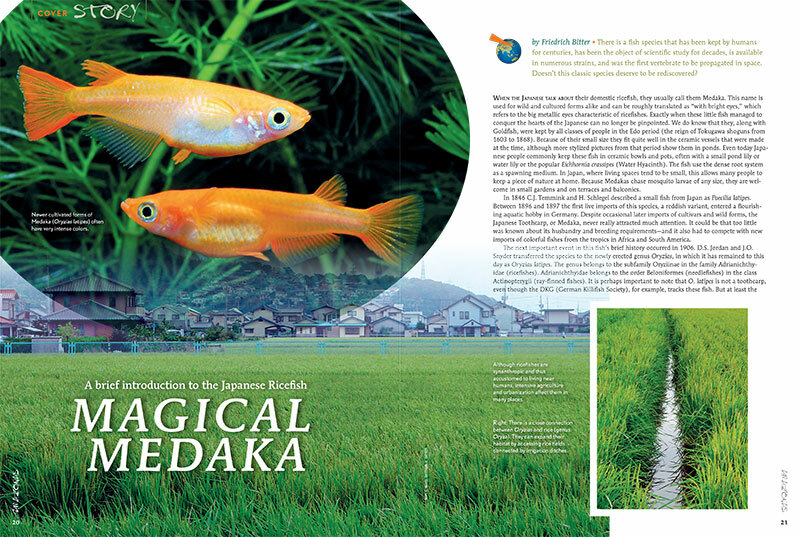 Friedrich Bitter offers a brief introduction to the Japanese Ricefish in “Magical Medaka,” our cover feature this issue. Get ready to drool! 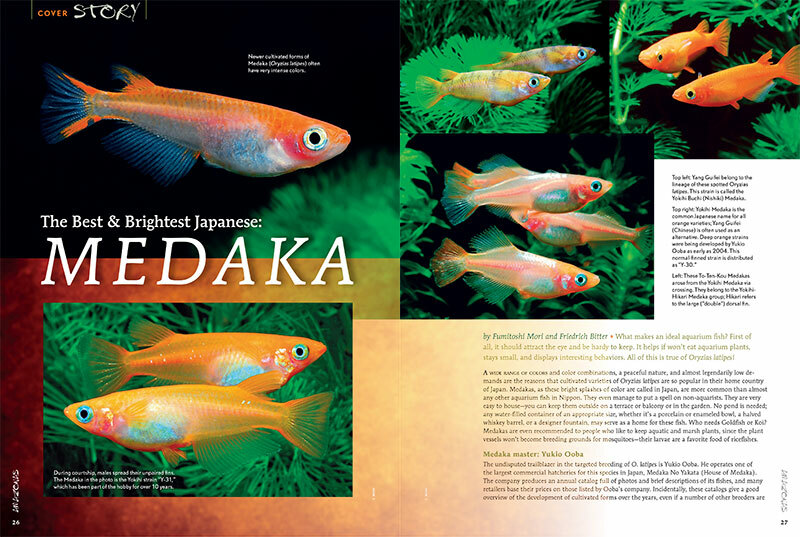 Fumitoshi Mori and Friedrich Bitter introduce us to the best and brightest Japanese Medaka! 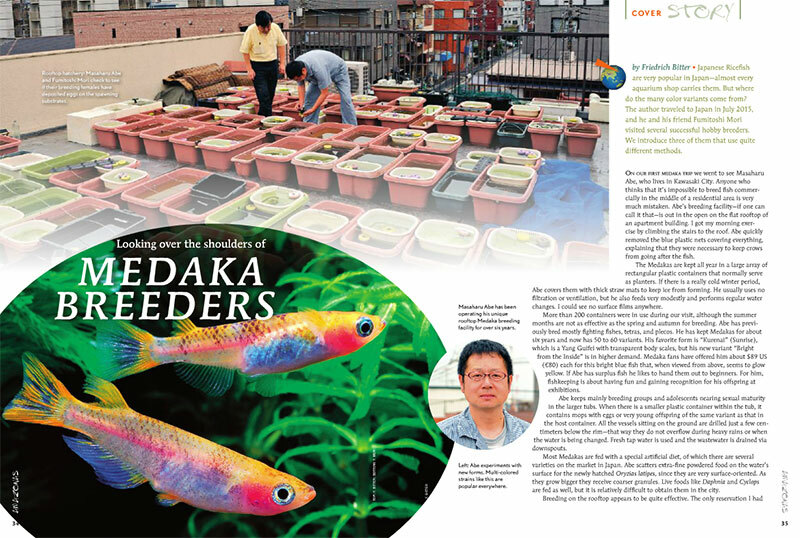 Join Friedrich Bitter as he travels to Japan to visit several successful hobbyist breeders who specialize in Medaka. 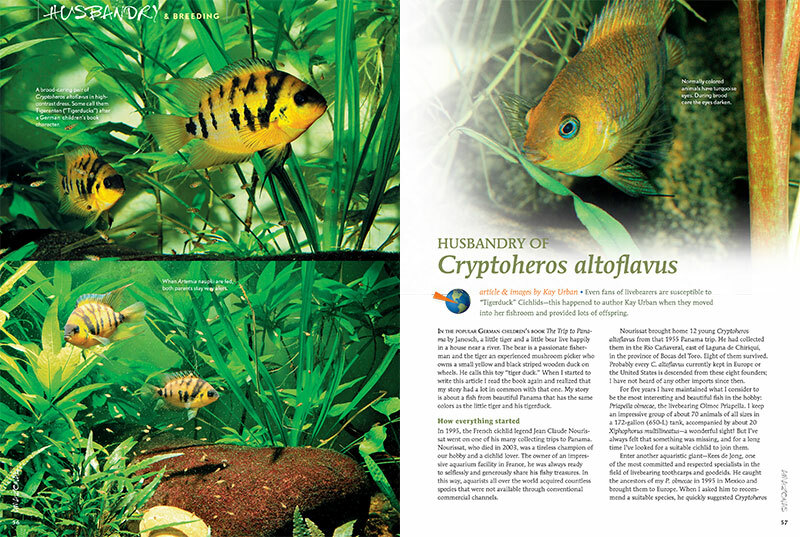 Even fans of livebearers are susceptible to “Tigerduck” Cichlids—this happened to author Kay Urban when they moved into her fishroom and provided lots of offspring. 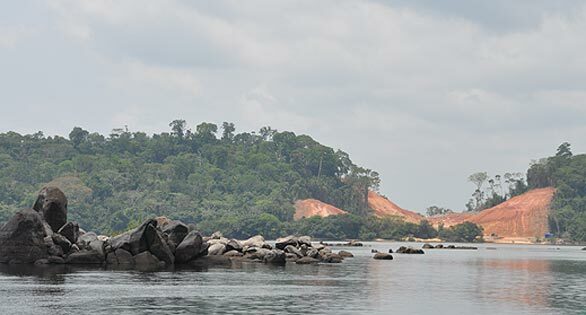 Learn more about the husbandry of Cryptoheros altoflavus in the latest issue of AMAZONAS. 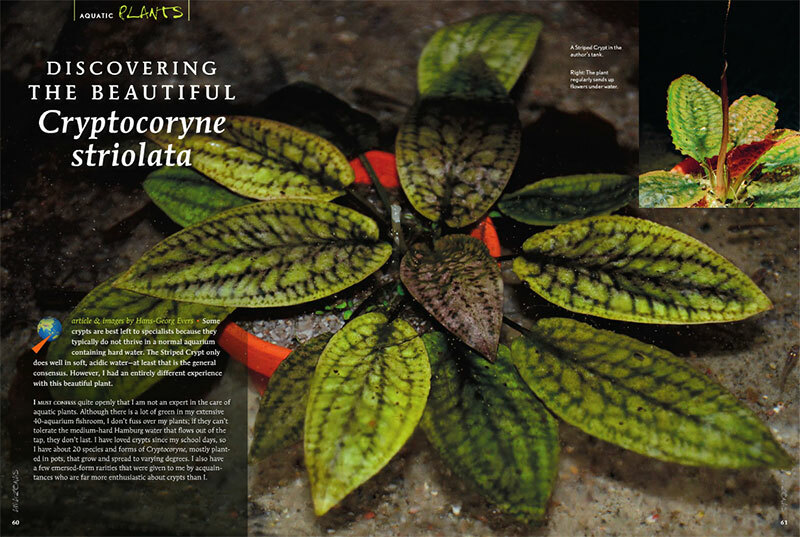 Crytocoryne striolata, the Striped Crypt, only does well in soft, acidic water—at least, that is the general consensus. However, Hans-Georg Evers had an entirely different experience with this beautiful plant. 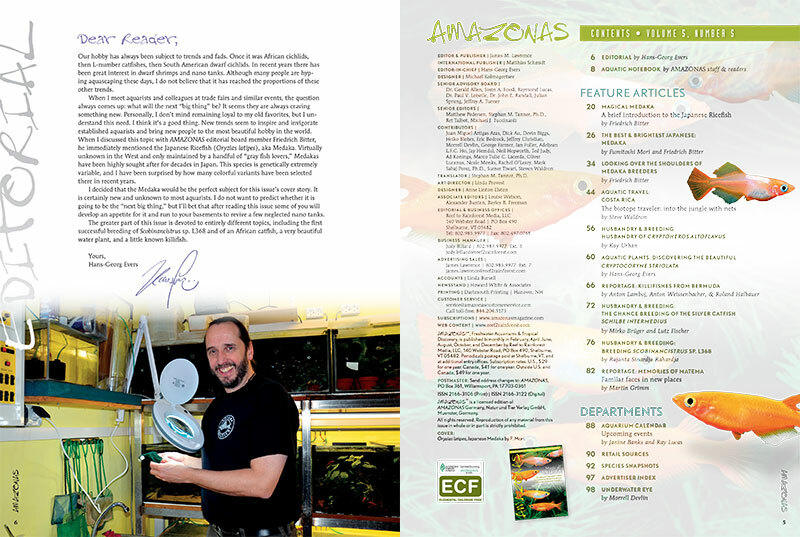 “One of the great things about our hobby is that many aquarists actively participate in the conservation of species threatened with extinction. 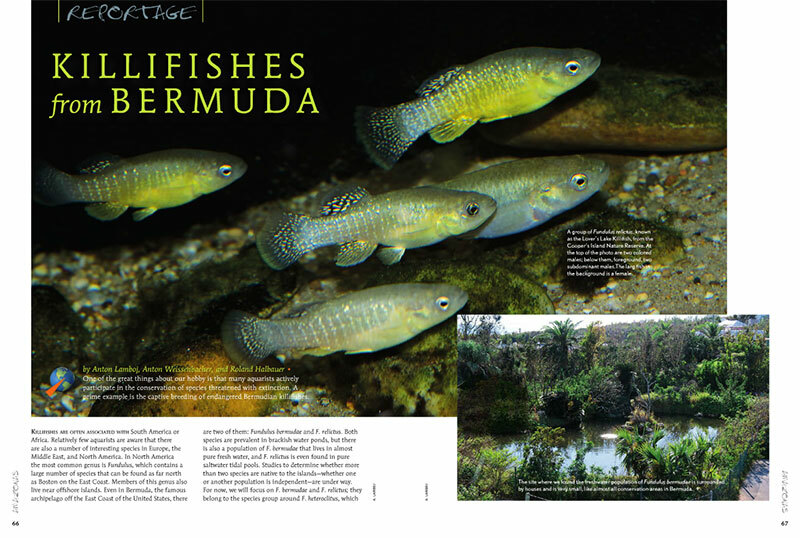 A prime example is the captive-breeding of endangered Bermudian killifishes,” say Anton Lamboj, Anton Weissenbacher, and Roland Halbauer, who share their progress in the latest issue of AMAZONAS. 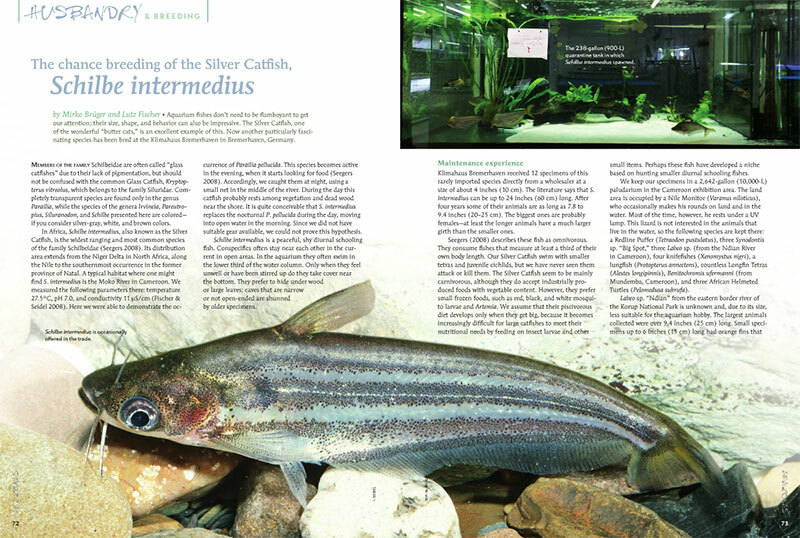 Mikro Brüger and Lutz Fisher report on “The chance breeding of the Silver Catfish, Schilbe intermedius,” at the Klimahause Bremerhaven in Bremerhaven, Germany. Scobiancistrus are challenging loricariid catfishes to breed in captivity, but Rajanta Sinardja Rahardja has been having success. 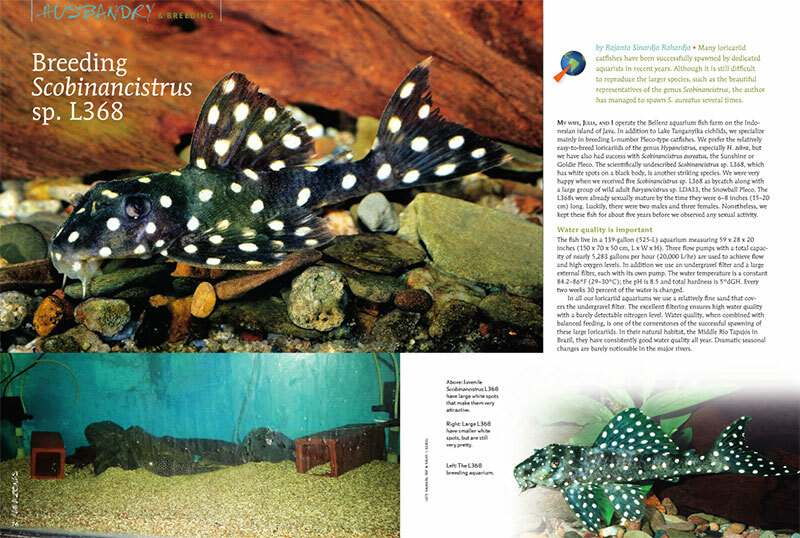 Learn more about his breeding of Scobiancistrus sp. L368. 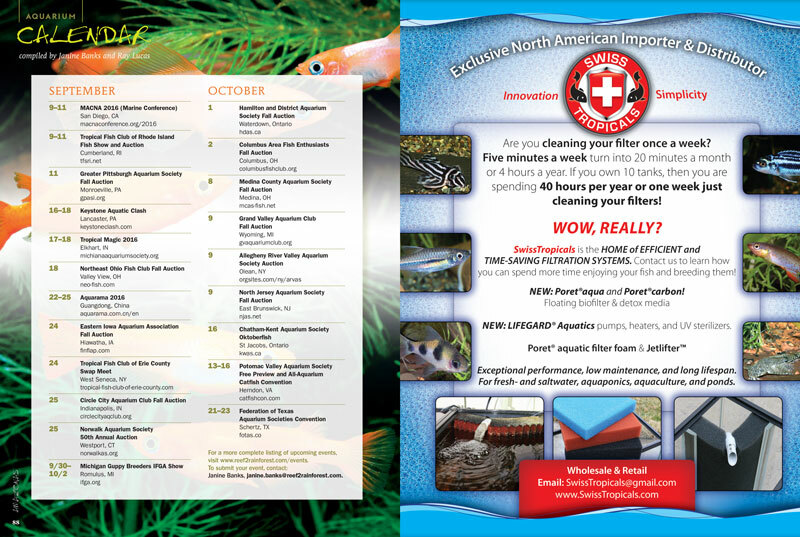 The latest AMAZONAS Magazine Aquarium Calendar. Have an aquarium event? Send Janine Banks or Ray Lucas an email to make sure we know about it! 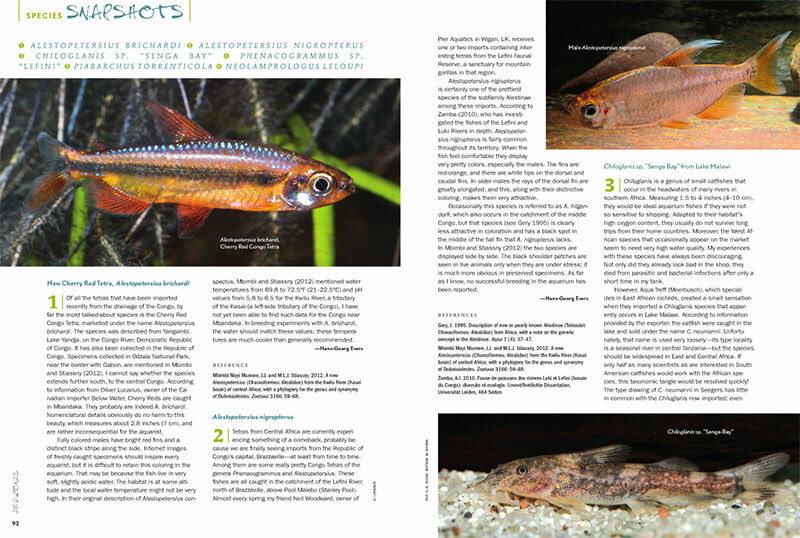 This issue’s “Species Snapshots” examines a new Cherry Red Tetra (Alestopetersius brichardi), the related tetra Alestopetersius nigropterus, an African catfish that can be found in Lake Malawi that goes by the name Chiloglanis sp. “Senga Bay,” a beautiful African tetra called Phenocogrammus sp. “Lefini,” the Paraguay Torrent Tetra (Piabarchus torrenticola), and a Tanganyikan cichlid from Congo that’s similar to the commonly seen Neolamprologus caudopunctatus—Neolamprologus leloupi. 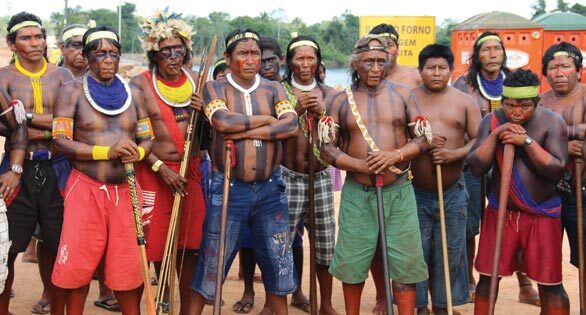 • SUBSCRIBE and never miss an issue of AMAZONAS. 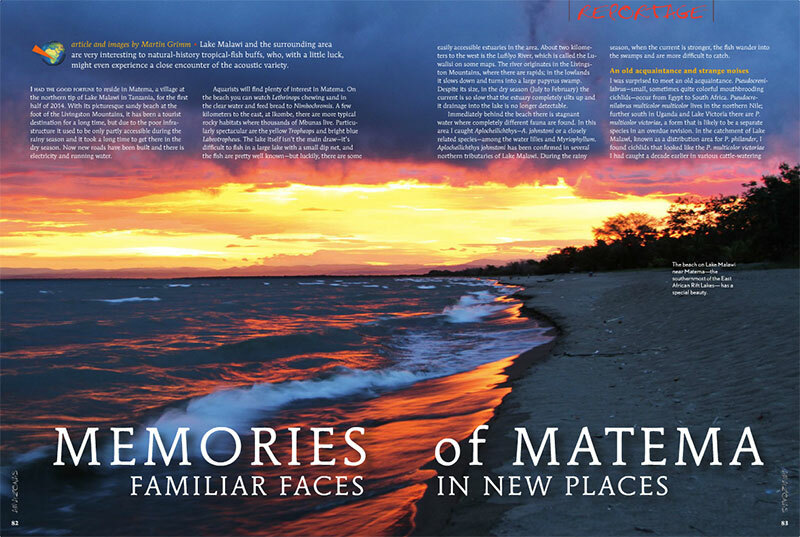 Paid subscribers receive the classic Print Edition, as well as Free Access to the Digital Edition and AMAZONAS Apps for mobile devices—via iTunes, Google Play for Android devices and the Amazon Kindle store.